I think most archaeologists cringe at the idea of “lost cities”. The public seems to like the term, but more often than not, the “lost” city is only lost to, well, white people. Locals know all about it. Often archaeologists do too. 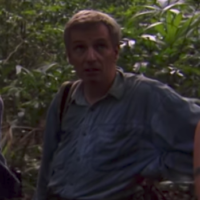 If you see “lost city” in the media, be skeptical. Yet there are some truly “lost cities”, and their stories are usually intriguing and quite often heart breaking. This is one of those cases. For years the lost Maya city in question was simply known as “Site Q”. Q for “Que” the Spanish word for “Which”. Why? Because the site was a total mystery. For years this site was only known from looted archaeological material for sale on the art market; its location was unknown. Well, until recently. 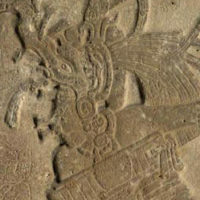 What happened was in the 1960s, a number of very fine Maya monuments were appearing on the international market. 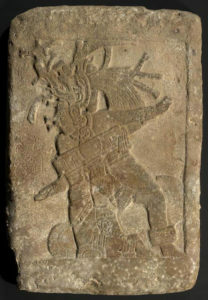 The Maya were a literate culture and they rendered their city names with what are called emblem glyphs: images that had some phonetic content but, really, represented the city, or, rather, the city’s leadership. Everyone back in the day would have known that the glyph on the right stood for the lords of Mutal, the site we know today as Tikal (you know, that Maya site in Star Wars). Rebel base? Maya site in Guatemala! The thing is that no one had ever seen this emblem glyph before. It didn’t belong to a single known Maya site. These were coming out of nowhere. AND the artistry of the monuments was very fine to say the least. These were top quality pieces from the apex of Maya artistic skill from it seemed, the middle of the Maya heartland. Which incidentally was and still is covered in deep jungle. The researchers could only conclude that a major Maya site that they knew nothing about was being heavily looted. The looters and, worse, the wealthy international dealers and collectors had found Site Q first and it was being literally torn to bits by the demands of the antiquities market. We were losing our history, piece by piece, and there was nothing that anyone could do to stop it. Don’t think they didn’t try though. Maya archaeologists worked for years to try and pin down where Site Q really was. They followed all sorts of leads, both on the ground in Guatemala, Mexico, and Belize, and through their expertise as linguists, iconographers, and archaeologists. But think of the challenge they faced. Even the first step: compiling a list with photographs of all the Site Q material on the international market proved difficult. The market is opaque, private collections aren’t shared, and the goal was to shut down this source of looted art so, really, why would those who want to buy the pieces help the effort? Suffice to say, after decades, we’re pretty sure we know where Site Q is. 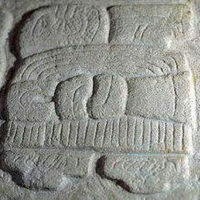 It appears to be a site that the Maya called Sak Nikte’, White Flower, but we call La Corona in what is now Guatemala. Prepare to be depressed: remember how I told you that mutilated bits of Site Q monuments started to appear on the international market in the 1960s? La Corona was not located by archaeologists until 1996. That’s over 30 years of the unprotected Maya city being torn to bits. Read more about Site Q here. Thus if you have a little while, watch Neil Brodie travel to La Corona to study looking at the site and take samples to see if it could be positively identified as Site Q. A few years old, yes, but still as interesting and heart breaking as when it was made.